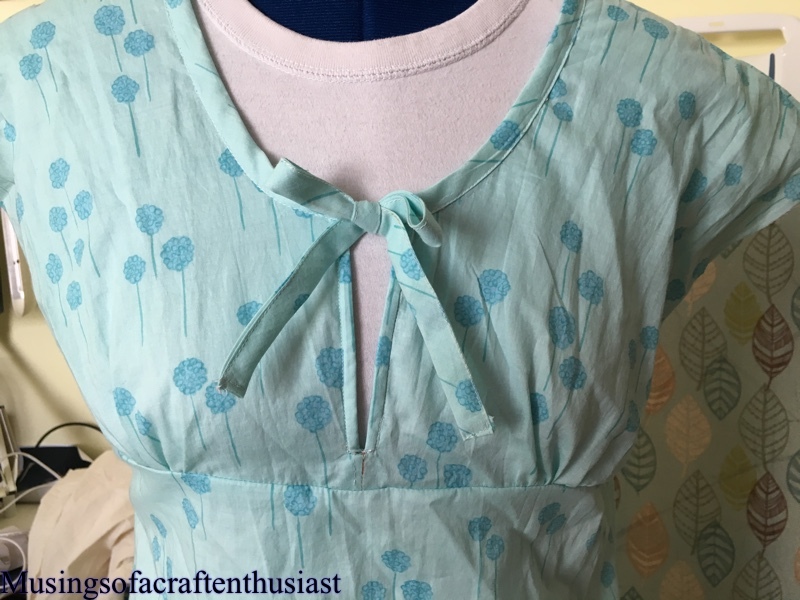 I have had a couple of failures the last month or so, you will have seen the Lutterloh dress and this one which is the Rhapsody Blouse from LoveNotions, I had high hopes of this pattern, I have a similar top and I was hoping to reproduce it. https://www.lovenotions.com/product/rhapsody-blouse-xs-xxxl, it has 8 sleeve types, I’m very impressed with the website, the pattern pages also have lots of pictures of how it looks made up, I am quite sure that my issue is more to do with fabric choices rather than a problem with the pattern. I loved the look of the top right up until I attached the sleeves and then it was uck I don’t like you at all. I am going to give it a good iron before making any decisions on it, I could just take the sleeves off and have it sleeveless or I could just replace them with the ‘cap’ sleeve as the arm hole is slightly bigger for the sleeved version than the no sleeved version. 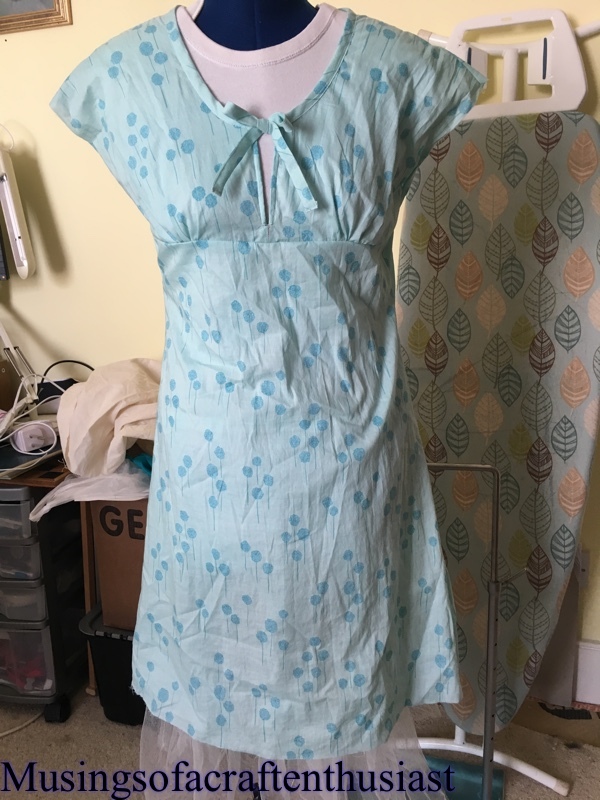 It has French seams and gathers at the shoulder and a tuck at the back, last time I tried it on I realised that I probably should have made the larger size it doesn’t quite fit on the shoulders, but I am happy enough with the rest of it. 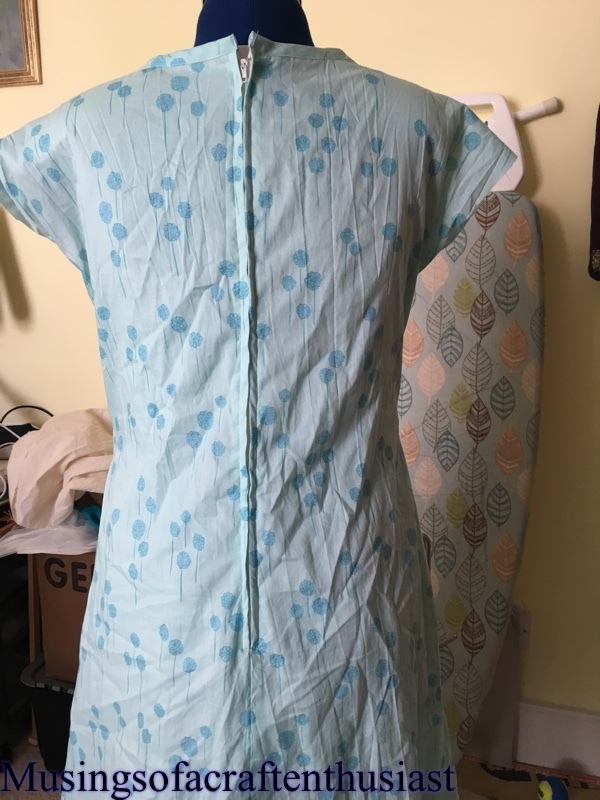 I will be making another attempt at this probably with softer fabric with more drape….